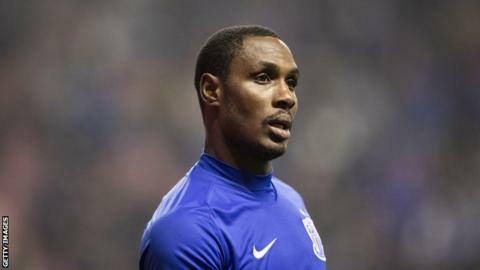 Ighalo, 29, finished as the 2018 CSL's second-top scorer with 21 goals which attracted interest from the five-time European champions, but insists it was an 'easy decision' to reject their overtures. "But with due respect I had just finished as the second top scorer in China with 21 goals, I deserve better and didn't want to be a short-term player somewhere. The Catalan side however turned to Ghana's Kevin-Prince Boateng who joined on loan for the remainder of the season. "You need to weigh things up properly in life and ask yourself if it is your call to make, or one to satisfy others," said Ighalo.